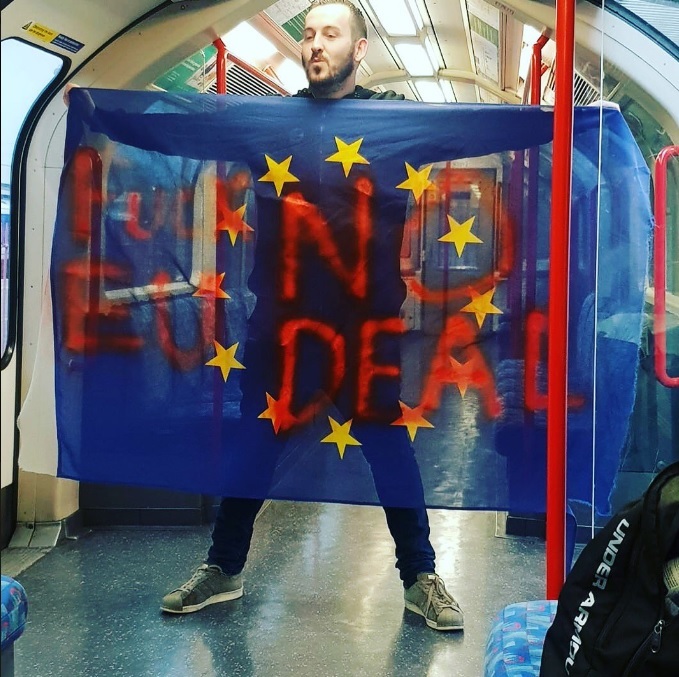 Protester James Goddard came into the public eye this week, after footage of him following Conservative MP Anna Soubry and accusing her of being a "fascist" and a “Nazi” went viral. The 29-year-old yellow vest-wearing protester was leading a small group of male Brexiteers when the footage was filmed, who flanked the pro-Remain politician on the streets of Westminster. But who is the "yellow vest" leader from Leicester? Goddard has been branded far-right by a number of news outlets, but insists he is not, and takes “offence” at the term. Goddard is pro-Brexit, and is also a supporter of Donald Trump. In a video posted to his YouTube channel he alleged that he was “assaulted” whilst attending an anti-Trump protest in London last year and “sticking up” for the “democratically elected” President. He is a regular at Speakers’ Corner in London’s Hyde Park, and claims that the UK government is “corrupt”. Goddard's group of yellow-vested protesters have been a regular feature around Westminster since early December, echoing the attire worn by protesters in Paris. The group made headlines in December after blocking traffic, including ambulances, on Westminster Bridge with a small group of protesters. The group say they are campaigning for a “better future” through their protests. On the same day as the exchange with Ms Soubry, the group also followed newspaper columnist Owen Jones, and accused him of being a “communist toad”. The campaigner had his PayPal account taken down yesterday after widespread criticism of his filmed exchange with Ms Soubry. He had used the platform as a way to allow people to “support his work”. English Defence League founder Tommy Robinson was banned from PayPal in November last year. Goddard’s Facebook account has also been taken down, with the social media platform claiming his page and associated groups had “violated” their policies on “hate speech”. 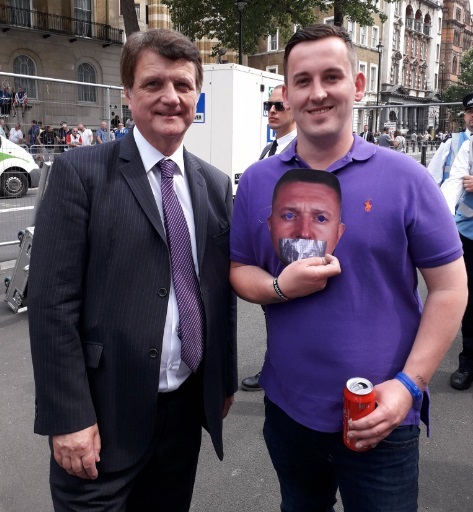 He has changed his Twitter profile picture to a photo of himself with Gaffer tape over his mouth, as Tommy Robinson did during his campaign for “free speech”. Shortly before Christmas Goddard was involved in a protest at an appeal hearing for drink driver, Jaynesh Chudasama, who killed three teenage boys in early 2018. Other stunts include arriving unannounced at the offices of Facebook, the Labour Party and radio station LBC, and demanding to speak to officials. He branded reception staff "traitors" when he was turned away for not having an appointment. 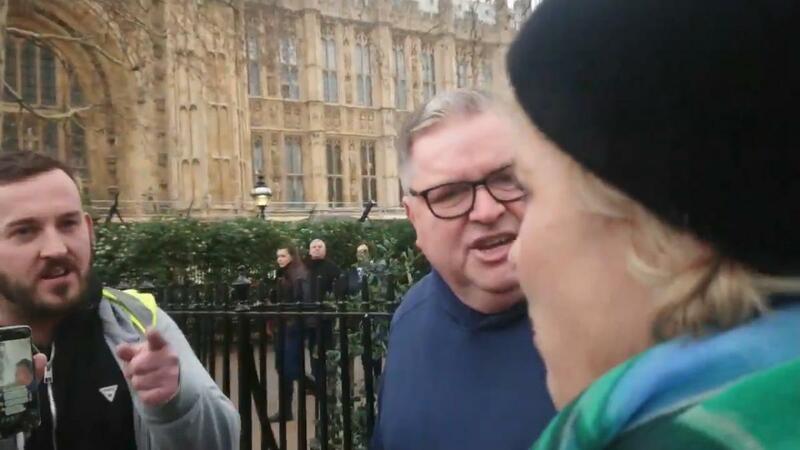 The activist has approached Ms Soubry before during a protest. He had previously told her she was "on the side of Adolf Hitler".